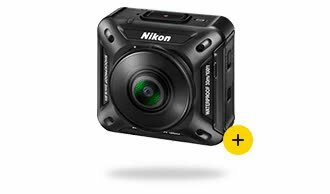 Nikon KeyMission is an action camera that has a lens on each side and with the two combined without problems 360 °, with this action camera you can capture amazing 4K UHD videos. With a Wi-Fi connection built into Nikon KeyMission 360 °, your smartphone works as the viewer of all the video action, just slide your smartphone you will get panoramic views of everything that was recorded around you. Rugged and durable housing that is waterproof and shockproof. It is a very good product. It may be useful. Thank you for introducing me to a good product. I voted to this posting. Great hunting!